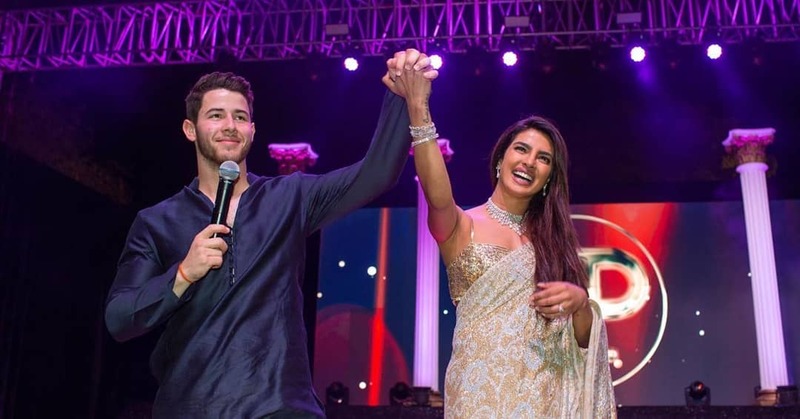 Priyanka Chopra and Nick Jonas are now husband and wife as per Christian and Hindu rituals. The Christian wedding was on December 1 and the Hindu wedding was today at Jodhpur’s Umaid Bhawan Palace. Priyanka and Nick shared a few pictures of their mehendi ceremony where both the families rejoiced to the fullest. Today, Priyanka shared pictures and a video from the sangeet ceremony and we must say it was a perfect jugalbandi. Priyanka was in a gold and silver hand-embroidered sequinned saree and she looked absolutely stunning in it. 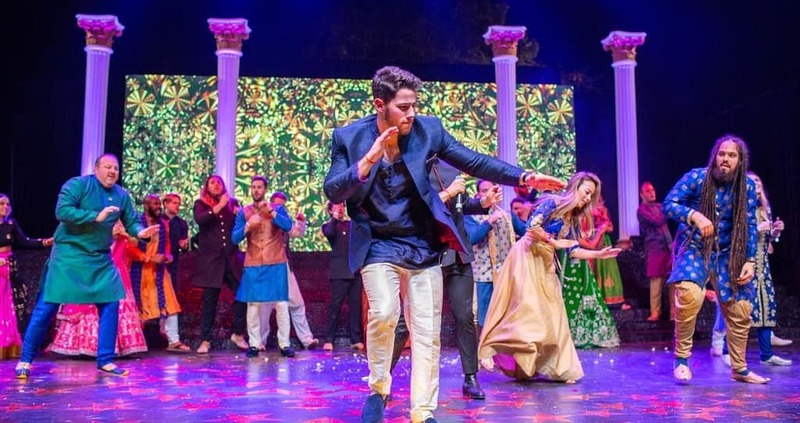 While Nick looked prince charming in a midnight blue sherwani with silk thread detailing. Both the outfits were designed by Abu Jani-Sandeep Khosla who seems to be their official designer for the wedding. 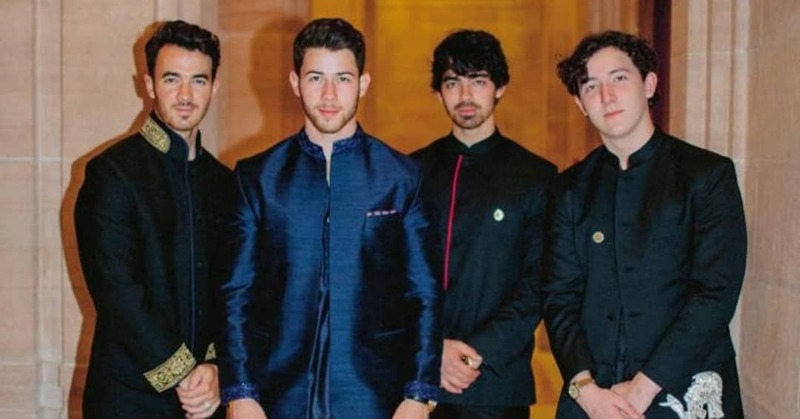 The Jonas Brothers carried the Indian look with panache. 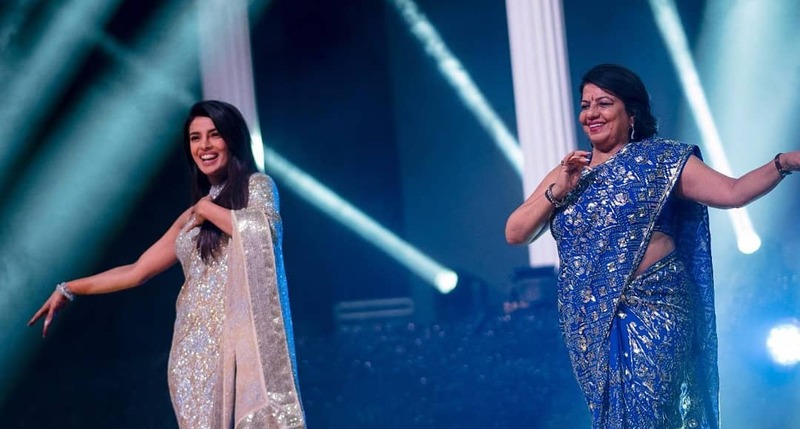 Priyanka’s mom Madhu Chopra was in a blue saree that had a heavy silver thread detailing. Before the sangeet, there was mehendi ceremony and the couple wore the same designer duo’s creations. Both were styled by Ami Patel. The makeup for Priyanka is done by celebrity makeup artist Mickey Contractor.